William Haviland explains in Cultural Anthropology that there are four basic characteristics of culture.7 Culture is shared by a group of people (that constitutes a society); culture is learned rather than biologically inherited from parents; culture is based on symbols such as a cross, an image, an object of worship, etc; and culture is an integration of economic, political and social aspects. Culture has several other characteristics too. It is neither the outcome of individual attempts nor the impact of a particular phase of history but evolves through the ages. It is an invaluable inheritance of uncountable experiences, experiments and endeavours. People, families, societies and civilisations develop; change or end with the flow of time but culture is not built or changed in one era. It is nurtured in the infinite lap of time, age after age. It enfolds innumerable phases of rise, fall, obstructions, destructions, reconstructions, trends and tides of the social, national and global history, and geographical, economical, political scientific, artistic, psychological and spiritual developments. Culture is the spine of any race or society. Social traditions, arts, festivals, rituals, the way of life and the values of community are shaped on the foundation of its culture. Any disruption in the flow of cultural values alters the structure of a society or civilisation. The supplanting of culture shatters the roots of civilisation because civilisation is an external expression of culture. The traditions, conduct, behaviour and ethics of a society depict the external face of its culture. Therefore culture and civilisation are interlinked. Civilisation manifests the nature of culture while culture is the source of sustenance and expansion of civilization. The future of any society or nation thus depends upon the harmony between its culture and civilization. Cultural values lay the foundations of growth, development and prosperity of human life. The place of the culture of one’s society and nation in the welfare of one’s life is as vital as the genes of one’s parents involved in the creation of one’s body. Culture nourishes and shapes the progress of human life. Remove culture from the life of a person and he will be no better than the beastly being of the Stone Age. It is only by the installation of samskaras through culture that a human being displays humane qualities. It is the nectar of the perennial spring of culture that enables the healthy growth and blossoming of the tree of personal, social and national life. The flow of cultural values and civilisation orients the direction of one’s life; if a person isolates himself or diverts from it, he would reach nowhere. Therefore knowing our civilization and cultural heritage and learning to adopt its values is necessary for every one of us. 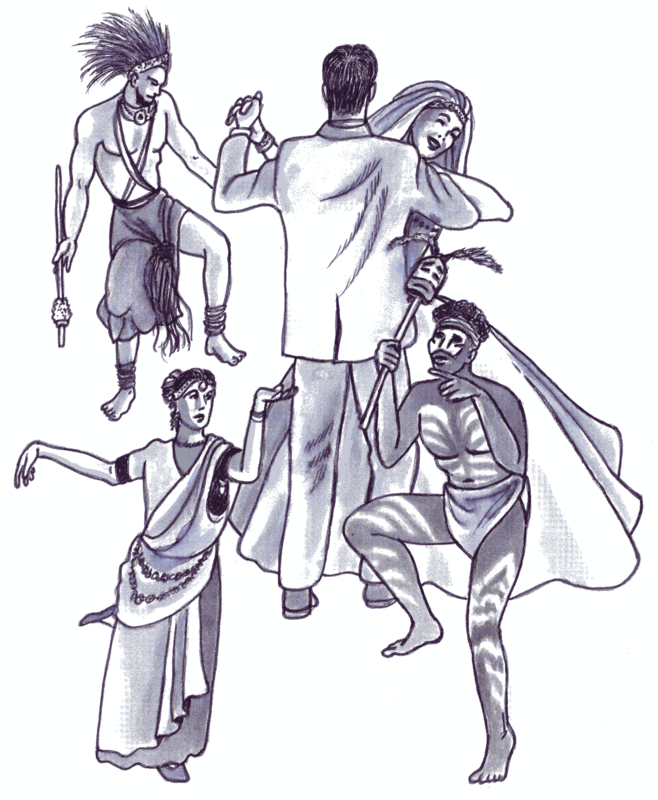 Different races, societies and nations have their own specific culture because of variations in the historical circumstances, philosophies and modes of life, specialties of personal and social life, geographical conditions, the extent of the development of science and others fields of knowledge, etc. This cultural diversity is natural. Still each culture has certain foundational elements that are universal because of which it maintains its identity. The more these timeless, superlative values are present in the core of a culture, the greater would be its expansion and effects. A culture would exist and expand with immortal glory because of its universal relevance even though nations may be born on or wiped out from the map of the globe and societies and civilizations may rise and fall. Cultures emanating from selfish motives and fanatic or narrow ideologies cannot stand the test of time. They inflate and burst like bubbles in due course. The worth of a culture depends upon the eternity, universality and absolute truth of its foundational elements. On their basis, it can spread in all directions at all times. The enduring relevance of a culture also depends upon how progressive it is. Culture in its most natural form is like an ever flowing current of a river that overcomes or embraces every obstacle and adjusts its direction accordingly without stopping its flow. It should be noted that some ancient convictions, rigid principles, traditions or customs alone couldn’t be regarded as culture. A culture, which is not open and adaptive to the progressive trends as per the needs of the time, remains backward and gets lost in the mist of time. Culture in true sense is like a conscious and radiant aura of enlivened values and progressive principles that have been illuminating our lives since the advent of Nature. Our history, civilisation, ethics, philosophy, religion, literature, science, art, etc are its components and reflections. So vast are the folds of culture that it covers almost every horizon of our existence. We must know our culture and its origin and depth in the light of the above aspects. We should also search new truths through experiments for the progressive expansion of our culture as per the need and call of the present. Establishing and living with noble values of our great culture is our sacred duty and also a definite source of our advancement on the path of individual and cultural progress towards spiritual unfoldment. This entry was posted on February 26, 2011 at 9:00 am	and is filed under Culture. You can follow any responses to this entry through the RSS 2.0 feed. You can leave a response, or trackback from your own site.